The Circle Wisconsin Midwest Marketplace was created in 2014 as a place for tour operators/planners to meet with group-friendly suppliers from the Midwest region to create FUN itineraries for their groups. Operators and Planners from around the United States and Canada are invited to network with suppliers from Wisconsin, Minnesota, Michigan, Indiana, Illinois, Iowa and North & South Dakota. 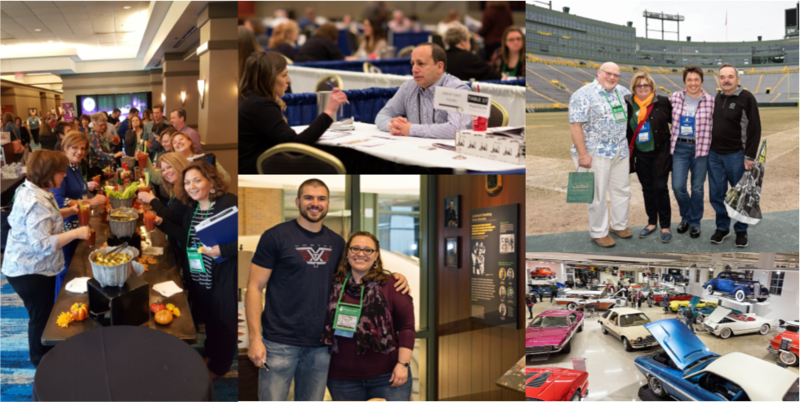 The Midwest Marketplace has become the premier travel industry event for operators/planners to meet with a variety of suppliers representing DMO’s, Museums, Casinos, Hotels, Dining, Theaters and more. The Midwest Marketplace is organized and produced by Circle Wisconsin, a membership organization whose mission is to promote and market Wisconsin and its members to the group travel industry. We recognize that Wisconsin is just one component to the region and operators/planners need the opportunity to network with not only Wisconsin suppliers but those from the states that surround us. This ensures that the region and Wisconsin all benefit from group visitors. Therefore, the Circle Wisconsin Midwest Marketplace was born.